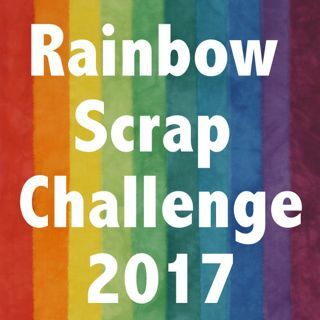 I have been doing a few internet block swaps or block exchanges. 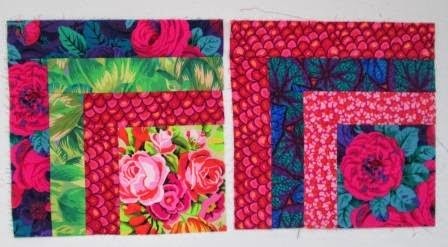 Both of the block exchanges have been with Kaffe Fassett Collection (or KFC). I asked for Log cabin blocks back in April and in June I was to send out this 1/4 log cabin block. The institutions we got were very good and I really like this block. They are on the way to the new owner. I hope she likes them. 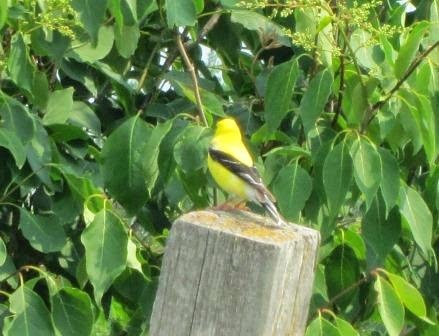 I have had lots of Golden finches in the yard this year. I was able to get a photo this time. They really like my fish pond. I think the sound of the water running also brings them in to the yard more.